Large parts of the film were made in and around the now boarded up Heygate estate in Elephant & Castle, only a stones throw from my current workplace. 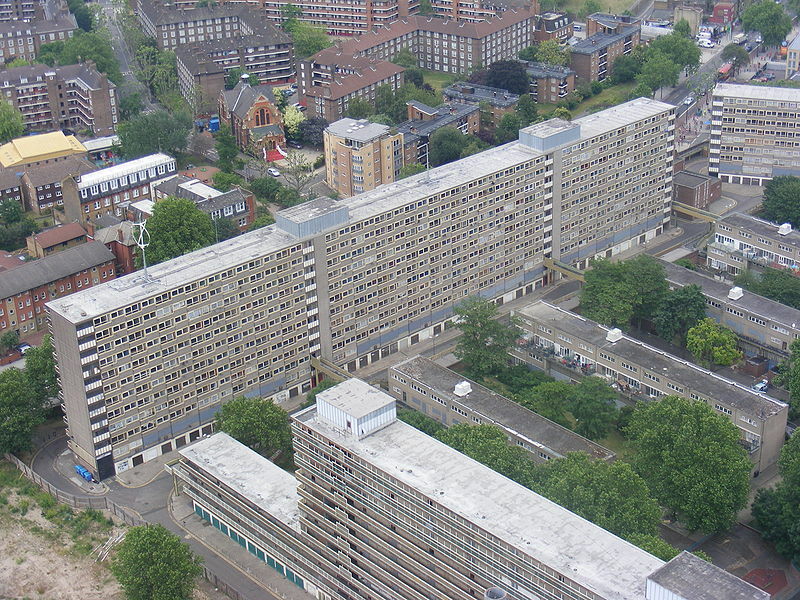 The Heygate was built in the 1970’s and was (until the Coalition got in) destined to be redeveloped as part of the Elephant & Castle Regeneration, hence all 700 or so flats have been emptied over the last few years. With some of the longest deck access blocks in London, the estate perfectly reflects the grimness and lawlessness of the story; a tale of one man being pushed over the edge and deciding to take matters into his own hands. The scene when Harry Brown goes to buy a gun from the local dealers is one of the most disturbing things I’ve seen in a long time…. Despite the relentless feelings of loneliness, injustice and helplessness, this is a fantastic film, brilliantly acted and shot…. just don’t watch it with anyone who doesn’t like swearing….